Elevate the value of your home quickly by having Drywall Repair Specialists remove that old popcorn ceiling. By hiring the quick and efficient DRS crew, you can skip the hours of lost time, the headaches… And the mess! We place high emphasis on quality of work and job site cleanliness. 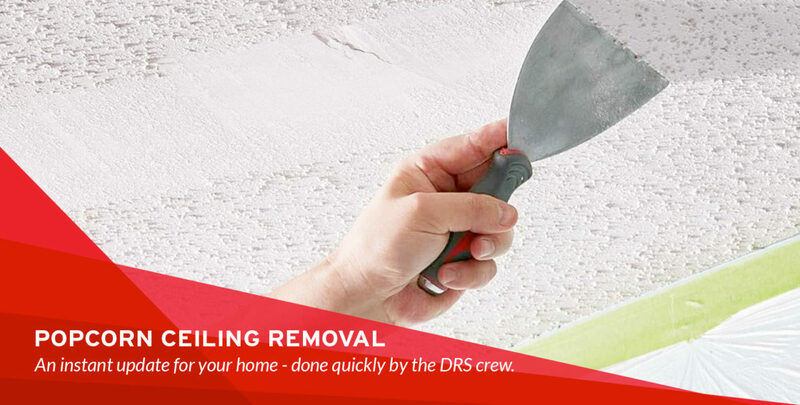 With the advanced wall and ceiling services, drywall repair, plaster repair, installation and finishes, DRS is the only one to call. The job is not complete until you are satisfied.